Proven techniques on how to reduce health insurance premiums. For international businesses and non-profit agencies overseas helping you save tens of thousands of dollars. 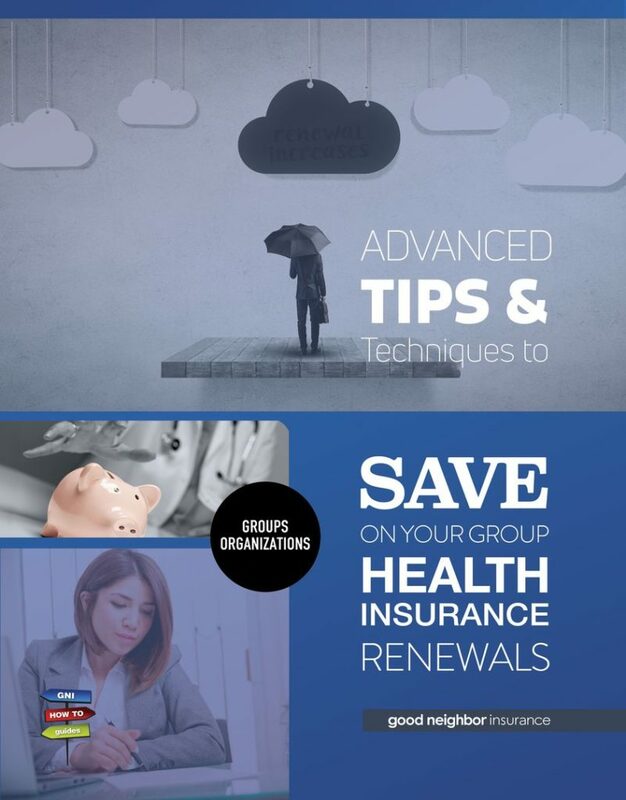 We have completely revised and updated the exclusive content in this 48 page guide Advanced Tips and Techniques: How To Reduce Health Insurance Premiums to save you even more on your international group health insurance premiums. It was written for international groups and businesses with: 1.) Employees overseas and, 2.) Some knowledge of insurance, underwriting and how insurance carriers work. 3.) Does not require you to be a client of GNI. We have also created a free workbook to accompany this guide and included many practical items to help you immediately begin to implement this material easily and as part of an overall plan. It also includes a few very important additional articles that we couldn’t fit into this guide. Get both today! We guarantee, if you are not currently implementing these insurance tips and money-saving strategies, you will save money by following these simple steps (on your own, or by calling Good Neighbor and letting us do it for you). Once you submit the form you will get an email with a link to the downloadable .pdf – A confirmed email address is required for delivery, and a confirmation email will be sent to you immediately upon submission. Sometimes it is helpful to check your ‘spam’ filter or ‘junk mail’ if you do not see a “Thank You” email from us. Please confirm receipt and remember to check ‘NOT SPAM’ so you don’t miss any additional tips and updates to this guide in the future. – What about Older Groups? Aging Groups? 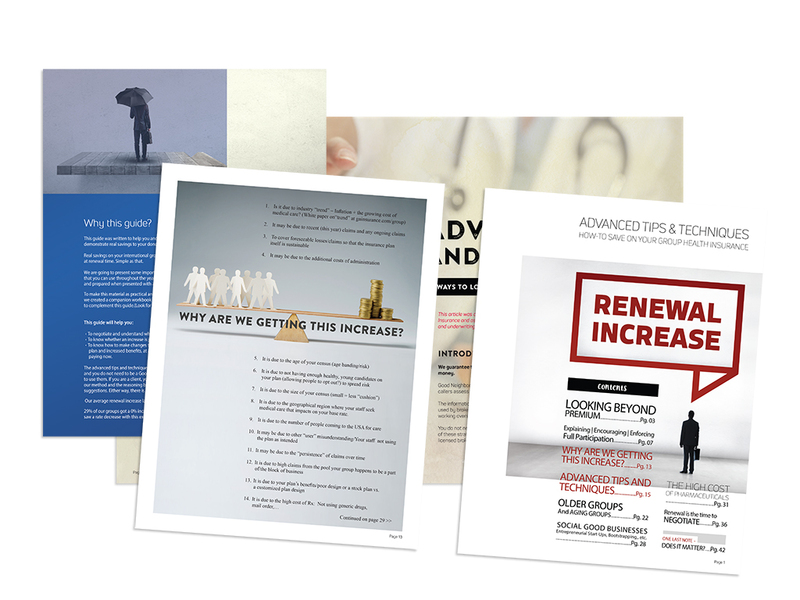 – An offer for our free accompanying workbook! This guide will help you negotiate, as well as understand what is negotiable. It will help you know when a rate increase is justified or unjustifiable. And know when an increase is solely based on trend or items you can control. Whatever the case, we help you control costs, understand how to create a truly sustainable plan (without switching! ), and how to look beyond price when comparing quotes/options. Don’t forget to download the companion workbook that you can use to track the items we discuss here, as well as your goals, calendar reminders, and more – To help you stay organized and have one place/one source to rely on when it comes time to discuss renewal. – Where are your members getting the majority of their care? In the U.S.? Outside the U.S.? – Cost to members in the U.S.? – Consider/compare different co-insurance and deductible options for U.S. based care. – You may want higher deductibles and co-insurance in the U.S. to incentivize care outside the USA. Note: This special report on international health insurance is for groups. If you are an individual looking to save money on your annual premiums, we can help. However, this report has information that is only applicable to groups with as few as two, up to two thousand employees overseas and will not work for individual policy holders. Thanks to our carriers, UnitedHealthcare Global, Aetna, and Cigna Global for helping make this guide possible!